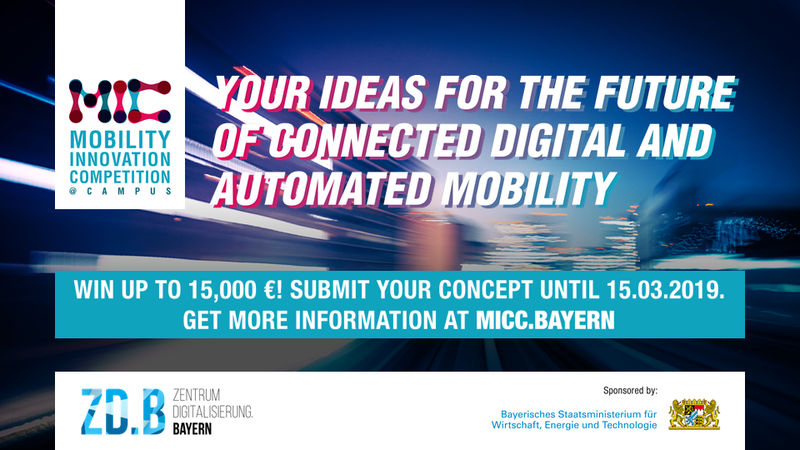 Student Competition "Mobility Innovation Competition@Campus" - win up to 15.000 €! Submit your concept until 15.03.2019. The "Mobility Innovation Competition@Campus" is a competition in which teams of students submit innovative ideas for business models and technologies. The topic of the competition is connected digital and automated mobility. More information and the application template on www.micc.bayern.